We are pleased to advise that we once again have road access to the Bakery & Bistro from both directions if you are travelling on Hwy 97. 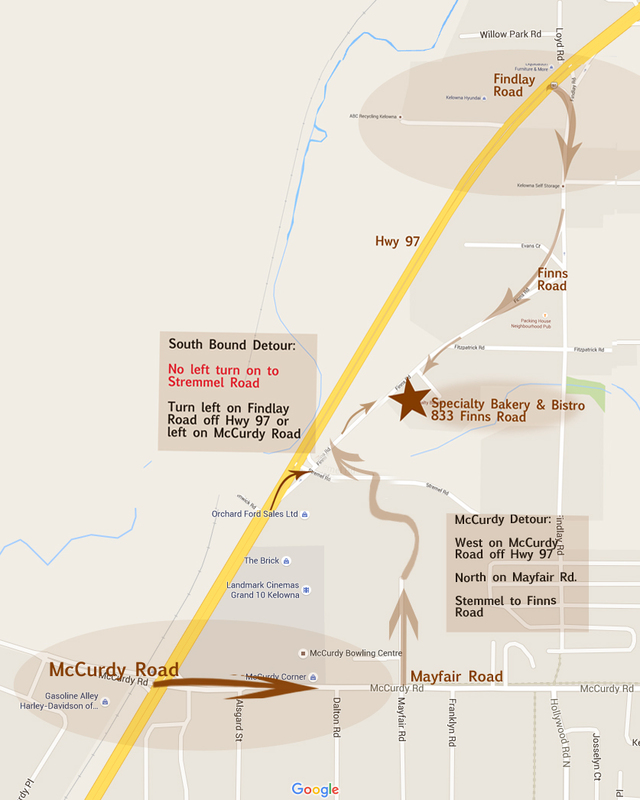 If you are travelling North turn right onto Stremel Road (Orchard Ford corner), and if you are coming from the North turn left onto Findlay Road, (just after Kal Tire). We thank all of our customers for your continued support.